Good post. Steve Jobs passing made me think about my mortality. Am I using my gifts? Am I doing what God wants me to with my life? 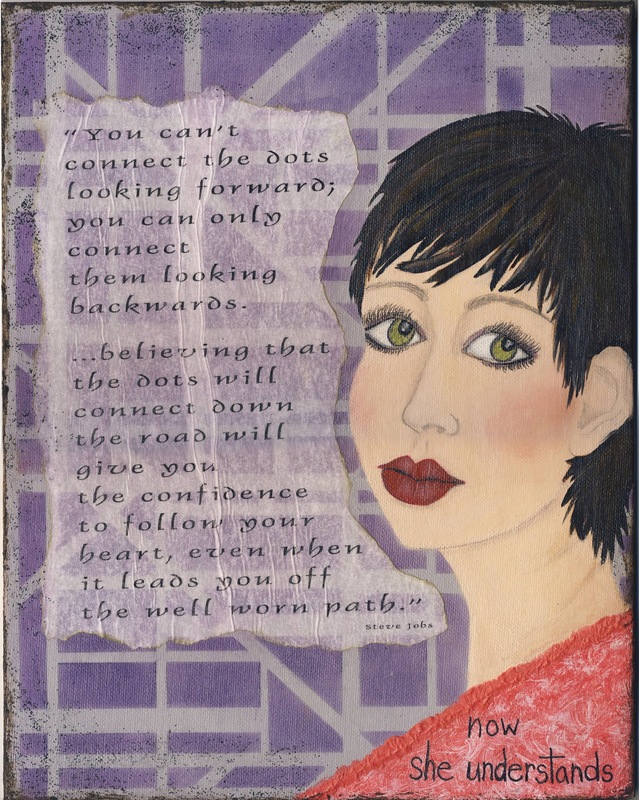 Life is so short we just need to do exactly as you stated - connect the dots and see we are moving forward and progressing even if it isn't as swiftly as we would like. Love the artwork. She is beautiful! Love your painting and words. I really needed to hear this today! I'm inspired by this. Your words, the art work you created, your deep insight...this is just amazing.